​Gary Cahill has hired a personal trainer to ensure his fitness is in top shape ahead of his proposed departure from Chelsea this January. 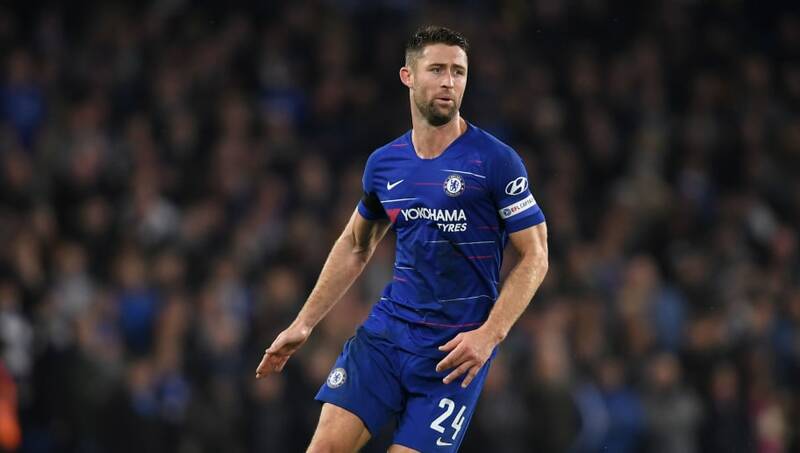 Cahill, who remains the Blues' captain, has not played since November, and has made just one appearance in the Premier League this season, with his other six coming in the EFL Cup and Europa League. However, at 33 years of age, the central defender has finally lost his place in the side, and is now looking elsewhere for game time. And, according to the ​Telegraph, he has now hired his own personal trainer to make sure he is in the best shape possible ahead of his move. Arsenal have been looking into Cahill's signature, but it is understood they would only make the move if their defensive crisis worsened during the month. As it stands, Fulham appear to be the frontrunners for his signature, as a loan deal, though they will likely have to battle West Ham, who were highly interested in the former Aston Villa centre back in the summer transfer window. Another member of the ​Chelsea old guard who seems destined for the exit door is ​Cesc Fabregas, with his most likely destination either Monaco or Milan. However, the Spaniard is understandably eager to make his 500th appearance in English football before the move.